We are very excited to announce a speaker highlight this year at FCC. A topic which deserves special attention in the age of climate change and rapid technological growth: We could secure a world top speaker, CEO and Founder of GIFT, Global Institute for Tomorrow to speak at our upcoming FCC event on September 4, 12.00 to 14.00. For more than two decades Mr Nair has strongly advocated a more sustainable approach to development in Asia, advising governments and multi-national corporations to instil these principles into their policies and key decision making processes. Mr Nair is the author of Consumptionomics: Asia’s Role in Reshaping Capitalism and Saving the Planet which was ranked as one of the top-fifty breakout capitalism books by The Guardian and has been translated into Chinese, German and Bahasa. 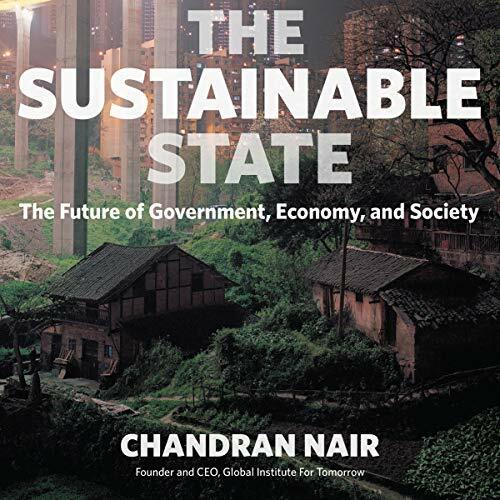 His second book The Sustainable State : The Future of Government, Economy and Society will be published later in the year. He is also the creator of The Other Hundred, a non-profit book project which serves as a counterpoint to the Forbes 100 and other media rich lists. The Other Hundred aims to highlight the lives of those who are not famous or wealthy, but who deserve to have their story told. The second edition has a focus on entrepreneurs and the third looks at educators from a non-conventional standpoint. The fourth edition will examine the very contemporary yet age old topic of migrants. The United States alone, with less than 5 percent of the world’s population, consumes nearly a quarter of the world’s resources. If countries in Asia, where 60 percent of the world’s population lives, try to follow the Western lead, the results will be calamitous. To counter this juggernaut, Nair argues that equitable development is possible only with the involvement of an active and strong effective state that can guide the economy, protect the environment, and prioritize meeting its people’s basic needs. This means rethinking the meaning of concepts like “prosperity,” “freedom,” and “rights,” and whether democracy is a prerequisite to ensuring a responsive government. For Nair, a sustainable future where the large developing nations of the world can meet everyone’s basic needs – and thus rights — is only achievable if the institutions of the state are strong and not prone to capture by vested interests.